Depreciation - What is it and how to avoid it? Depreciation – What is it and how to avoid it? It is pretty well known to anyone that owns their own vehicle, over the years your car will depreciate, but what does this actually mean? Unfortunately, depending on the type of vehicle you own, you will see a small or significant amount of depreciation for the time you own it. Car depreciation is the difference between the value of the vehicle from when you purchased it to the amount it is valued at now. Most vehicles will take the biggest hit during their first year of ownership, and after around the first three years, the depreciation will start to slow down. As something that is not always thought about when purchasing a new vehicle, car depreciation is something you should be really looking into. As there would be nothing worse than spending a considerable amount of time and money looking for what you may think to be the perfect vehicle but instead drops in value massively after you drive it from the forecourt. Deciding on a vehicle which depreciates much slower can save you a considerable amount of money in the long run. 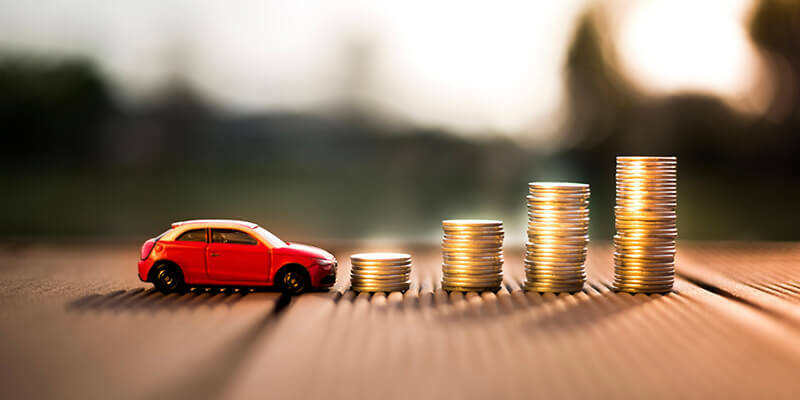 Most vehicles in the UK will depreciate around 15-35%of their value in the first year and usually will lose up to half of the value of the vehicle after the first three years of owning the vehicle. Choosing a car based on its depreciation value can be much more economically beneficial in comparison to solely looking at engine size and fuel efficiency. What are the main factors that affect car depreciation? When it comes to purchasing a vehicle, we highly recommend taking a look at the depreciation value. One that depreciated very quickly will often be cheaper, as those that depreciate at a slow rate obviously hold there value. However, there are a few factors you must consider when it comes to your car depreciation as some factors will mean the value of your car reduces much quicker. Mileage is a big factor when it comes to determining the value of a car. If you are purchasing a second-hand car, it is always worth looking at the mileage, as those that have done a considerable amount of miles will often be much cheaper then those that have hardly any. Any vehicle that has below 30,000 miles will hold its value significantly in comparison to those a little higher. You should, however, be aware that if the milage is to low on a vehicle which should have more considering the age, then this can also be a disadvantage. As it may mean that the car has not been driven enough, which could potentially cause issues in the long run. The condition of your vehicle can have a real impact on the value someone may think your vehicle is worth. If you have a considerable amount of dings, scuffs or damage to the bodywork, then people will often think that the car has not been loved whilst owned by you. We highly recommend taking care of the bodywork, and if you do notice any exterior damage, make sure to book in with a car body repair specialist. You should also take great care of the inside of your vehicle; if you are a smoker or have pets, then this can often leave an odur which can be challenging to get rid of. With regular and scheduled cleans, you can eliminate this, and can ensure the depreciation of your vehicle is not determined by the interior of your car. How to reduce the effect of depreciation? With depreciation being a big thing when you buy a car, we suggest when looking to purchase a new car not only do you look at the depreciation value but also look at vehicles that are in high demand. If you have a vehicle that is in high demand, then the likelihood is, when you go to sell it you will have a number of potential buyers, rather then just one. You should also look at brands of vehicles that are well known for good quality and reliability. When looking to purchase a car, you should also consider the colour of the car, something you may like may not be the taste of everyone else. So, loud, garish colours may be something you want to avoid as this can often have a drastic effect on the resale value of the car. Buying a car in a popular colour will mean it is much easier to sell in the future and will also most likely hold its value. Check out ChipsAway article on Worst colours for car depreciation. Make sure you keep a comprehensive record of your cars work that has been done. Not only is this any repairs or replacements that have been made but also your MOT certificates and full-service history. If you have taken your car to a BMW service centre in Milton Keynes the entire time you have owned the vehicle, then this can often be a good indication to the new purchaser that your car has been cared for and will probably not cause them too many issues in the long run. If you can get away with doing fewer miles in your vehicle then we suggest doing so, it can make a great deal of difference to the depreciation of your car. High mileage will often lead to a significant amount of depreciation so keeping the miles as low as possible without stopping yourself from not driving the car altogether. It is doubtful someone will pay what you paid for your vehicle. If you have been using it for a couple of years, with a number of journeys and family holidays, then your car is likely to depreciate. If you are looking to keep as much value in the vehicle as possible, we highly recommend following a couple of our top tips. Make sure you take a great deal of care when it comes to the condition of your car. If you have taken the time to care for your interior and exterior bodywork, then people will know while the vehicle has been in your care it is loved. It also goes for taking your car to have its annual service; this will often indicate if there are any problems with the vehicle and if it has been done regularly, you are less likely to come across any issues in the future. If you are worried about your car depreciation, book in today with a member of the team so we can ensure your car is getting the care it needs.